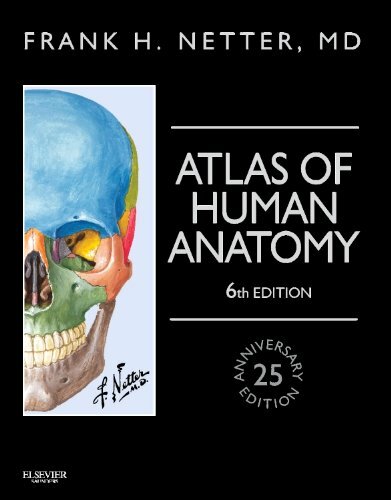 The 25th anniversary edition of Frank H. Netter, MDs Atlas of Human Anatomy celebrates his unsurpassed depiction of the human body in clear, brilliant detail  all from a clinicians perspective. With its emphasis on anatomic relationships and clinically relevant views, this user-friendly resource quickly became the #1 bestselling human anatomy atlas worldwide, and it continues to provide a coherent, lasting visual vocabulary for understanding anatomy and how it applies to medicine today. Dr. Netter brought the hand of a master medical illustrator, the brain of a physician and the soul of an artist to his illustrations of the human body, and his work continues to teach and inspire. Leverage the Netter “visual vocabulary” you learned in school to grasp complex clinical concepts at a glance.